Six decades of building a physical environment organized around cars instead of people has profoundly changed us. 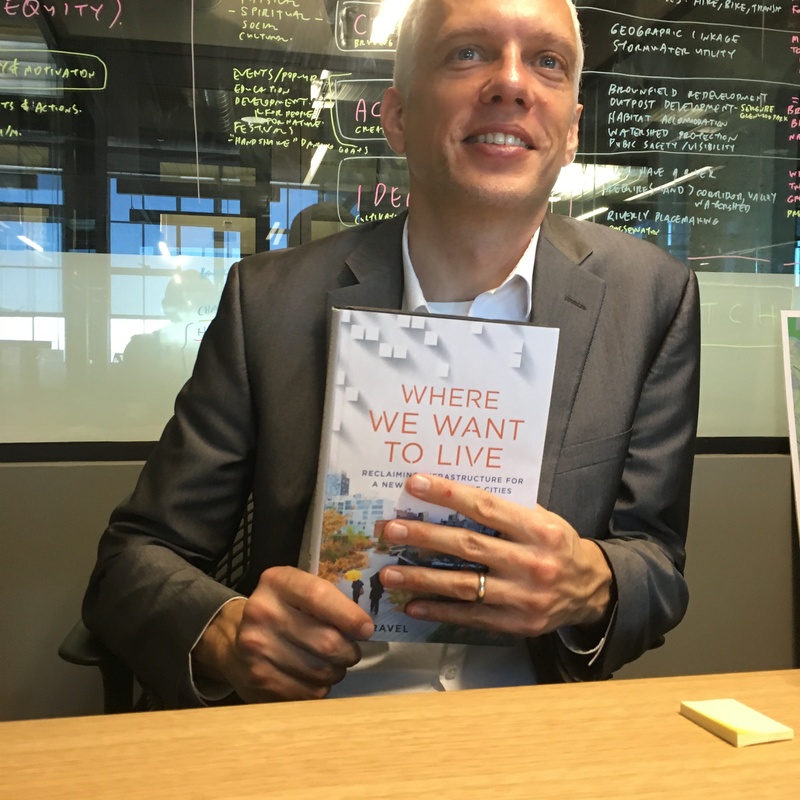 In “Where We Want to Live – Reclaiming Infrastructure for a New Generation of Cities,” (St. Martin’s Press, 2016), Ryan Gravel shows us how to forget tired old arguments about traffic, pollution, blight, and sprawl, and instead rethink them as assets for the creation of communities where we want to live. HOLIDAY GIFT IDEA > Buy the book and then print this special card. BUY IT HERE > A Capella Books (Atlanta local); IndieBound; Amazon; Barnes & Noble. WHERE WE WANT TO LIVE is an urgent call-to-action by Ryan Gravel, the visionary behind the Atlanta Beltline. Released in hardcover by St. Martin’s Press on March 15, 2016, a launch event was held by WABE, Atlanta’s NPR station, at the Carter Center with host Valerie Jackson, wife of the late great former mayor of Atlanta, Maynard Jackson. 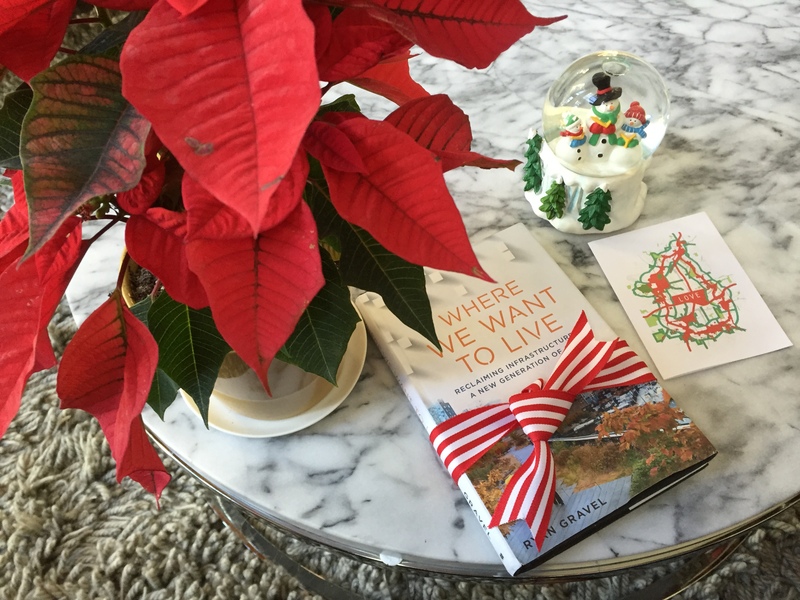 WHERE WE WANT TO LIVE offers context to the decisions we make about the places we live, describing a new cultural momentum that we’re all a part of whether we acknowledge it or not. Written as narrative nonfiction, the book is for everyone from grassroots community organizers to entrepreneurs and health practitioners. No matter what your station in life, you have a role to play in the positive transformation of cities. WHERE WE WANT TO LIVE is a compelling and insightful narrative that captures the intimate relationship between infrastructure and our lives. Gravel describes this bond by summoning the streets of Paris, the spirit of Detroit, the unruly Los Angeles River, and dozens of other conditions, making a powerful case for an emerging new infrastructure that is better suited to the needs of our future. He describes how projects like Atlanta’s Beltline and Houston’s Buffalo Bayou are supporting a new cultural momentum that will ultimately transform our way of life with the same magnitude as automobiles and highways did in the last century. More than mere observation, however, Gravel describes how we can all engage with this cultural, political, and physical cycle of change to make a better life for ourselves. Like the #wherewewanttolive Facebook page. “Where do we want to live? Ryan Gravel, who will likely be remembered as one of our nation’s highest impact urban designers, has some remarkable answers from his nearly two decade journey exploring the topic. At a time when sustainability, race relations, and economic growth seem more perplexing than ever, Ryan’s ideas address all of these issues through a thoughtful approach to the development of our cities. As a doctor, I am also well aware of the tremendous health benefits a walking city can have on our health. Decreases in blood pressure and obesity and increases in connectedness, happiness and joy. I don’t always think about these issues on a spectacular day of running or biking on the Atlanta Beltline with my three daughters. I simply know this what a real city can feel like.” “Crisp and smart.” – Dr. Sanjay Gupta, chief medical correspondent at CNN. Congratulations Ryan! Can’t wait to read it and get your autograph! You mentioned this book at the design + dining event on the BeltLine during Convention. I wrote a note to myself about it. Can’t wait for it to release! Paris is my second home and you have captured the essence of the mystique that draws me there again and again. I recently visited London and the parts I visited had none of this charm or ambiance. Surely it exists somewhere in England but the contrast of being in London one day and Paris the next really drove home the heart of your observation. So proud of you and your work.